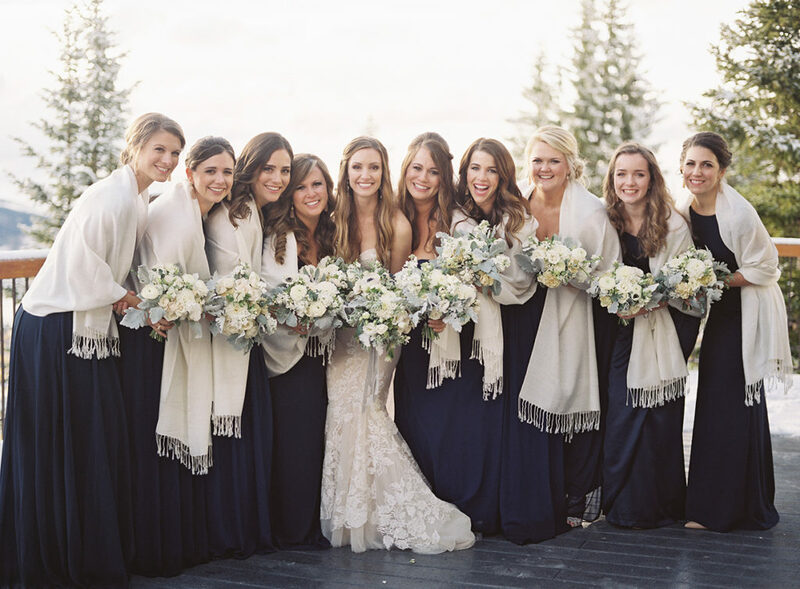 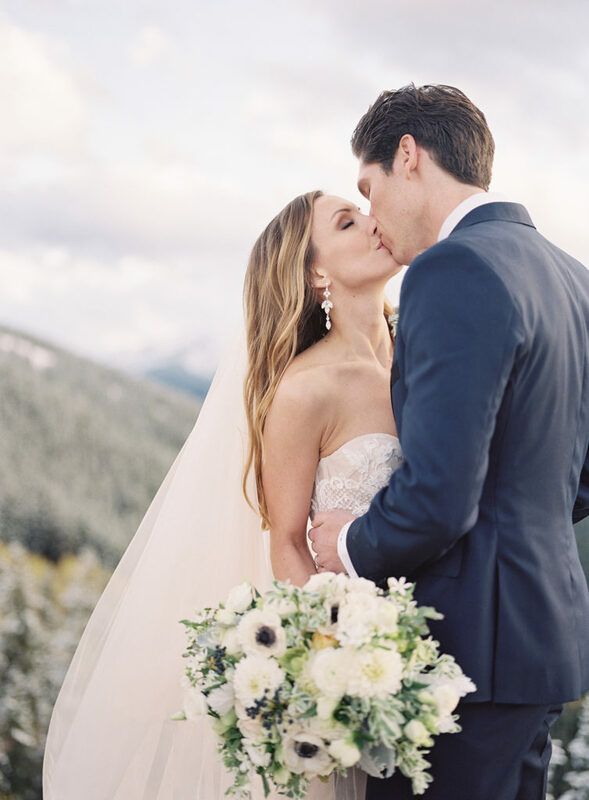 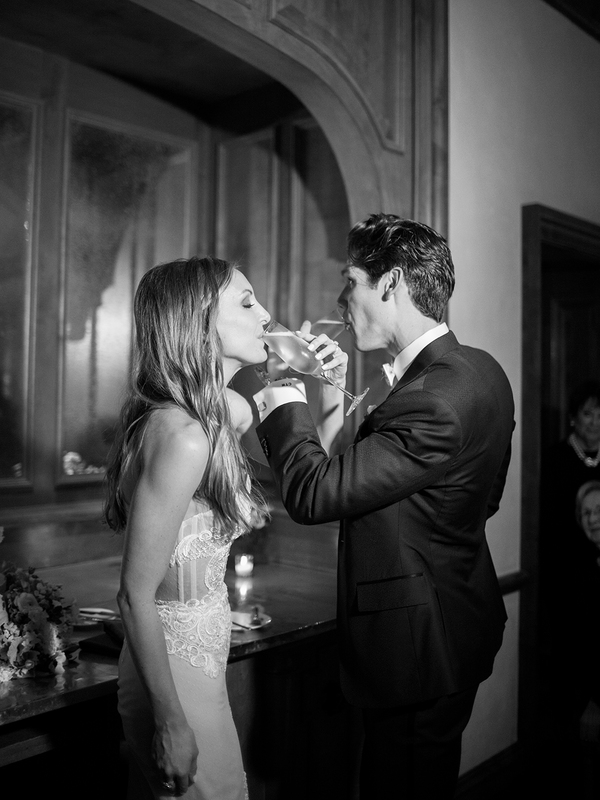 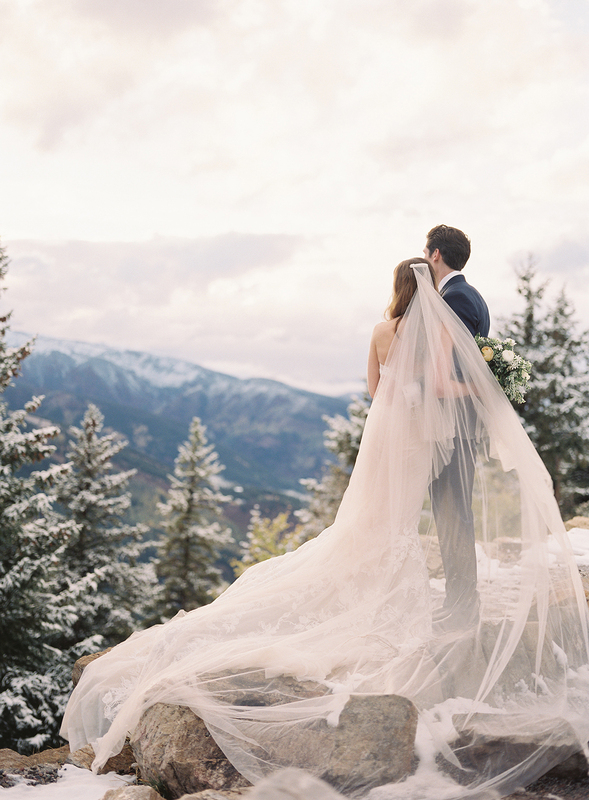 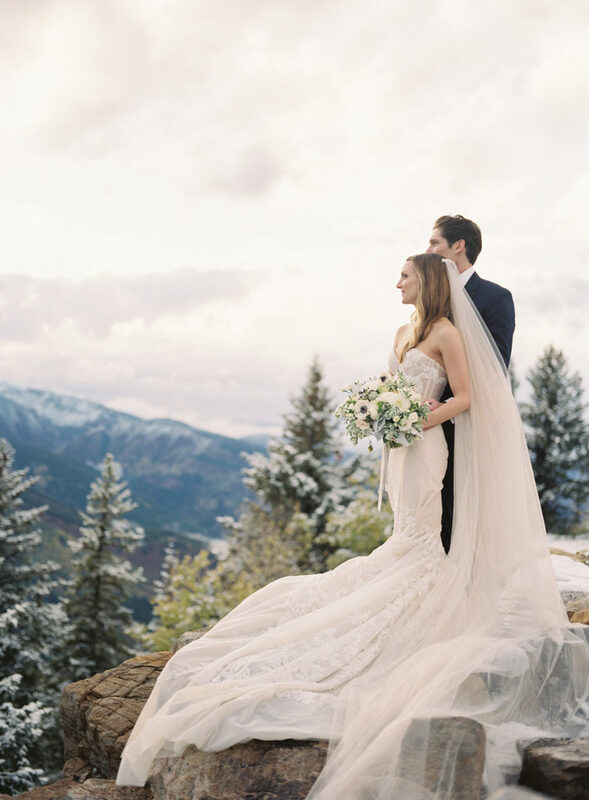 For Taylor and Cameron’s big day, they selected the classic Aspen wedding venue, The Little Nell, for their autumn nuptials. 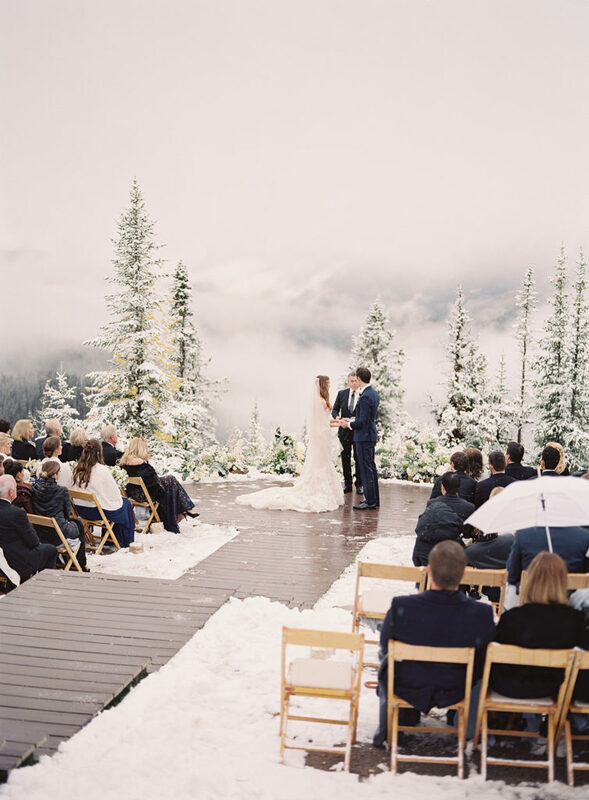 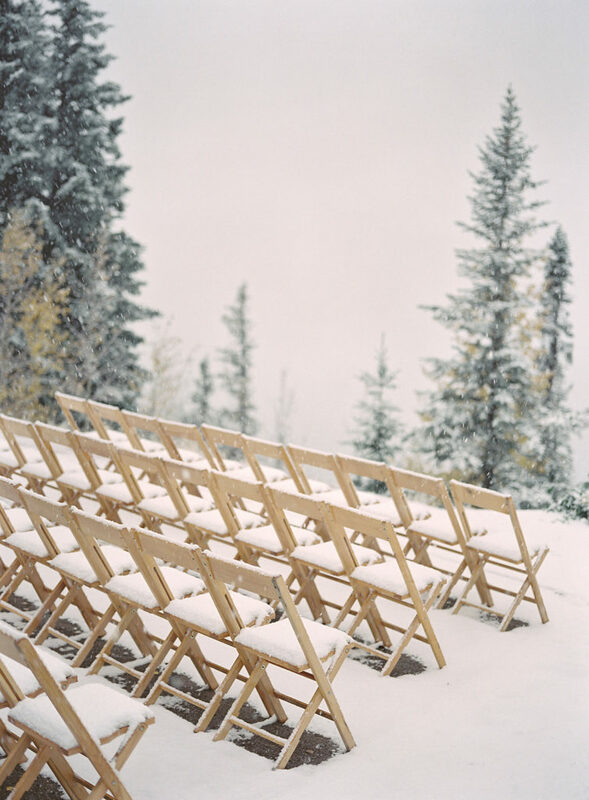 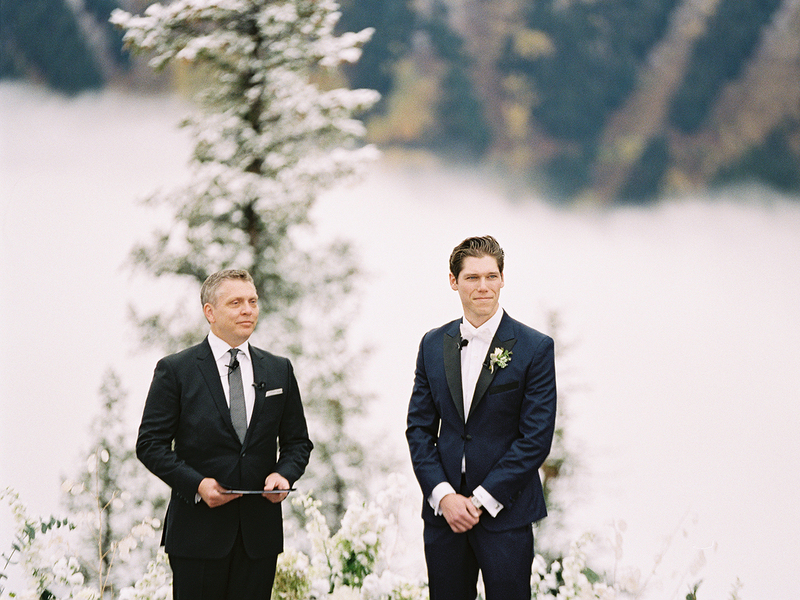 Instead of a classic fall wedding, mother nature surprised the couple with a dusting of white snow. 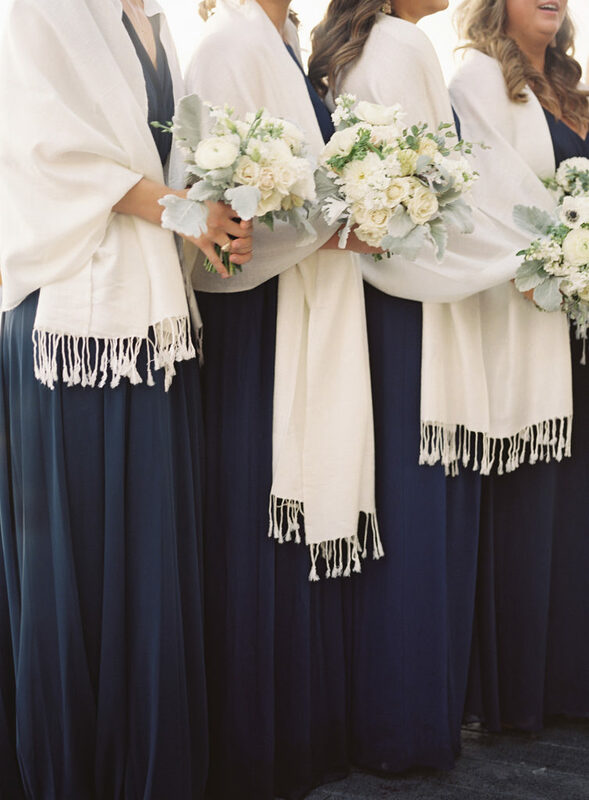 Fortunately, we had lots of blankets and warm drinks on hand to keep guests comfortable for ceremony and even ivory pashminas to keep the bridesmaids warm. 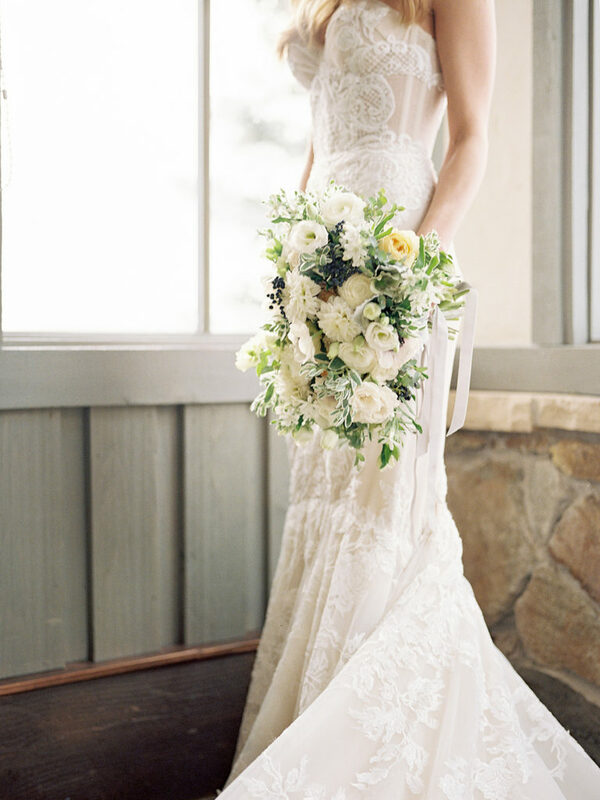 For Taylor’s dress she chose a fitted Inbal Dror dress and paired it with a lush green and white bouquet by Bare Root Flora. 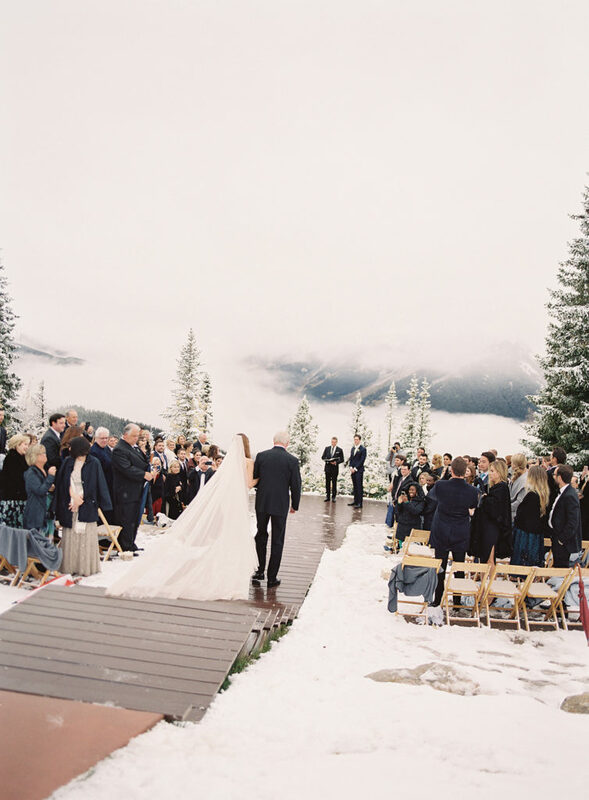 Ceremony was held on the wedding deck with blush and white flowers sporting a light dusting of snow. 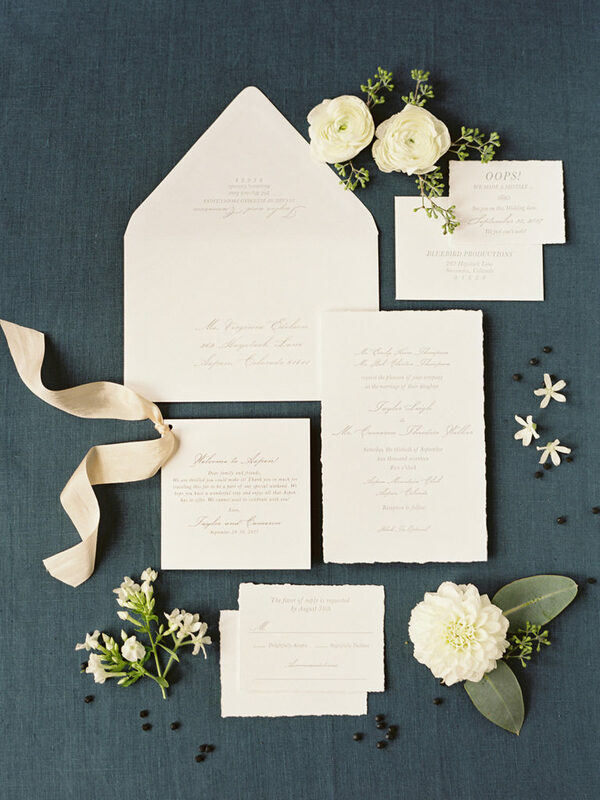 The reception was kept timeless and classic with elegant flowers like garden roses and tweedia arranged in stone containers. 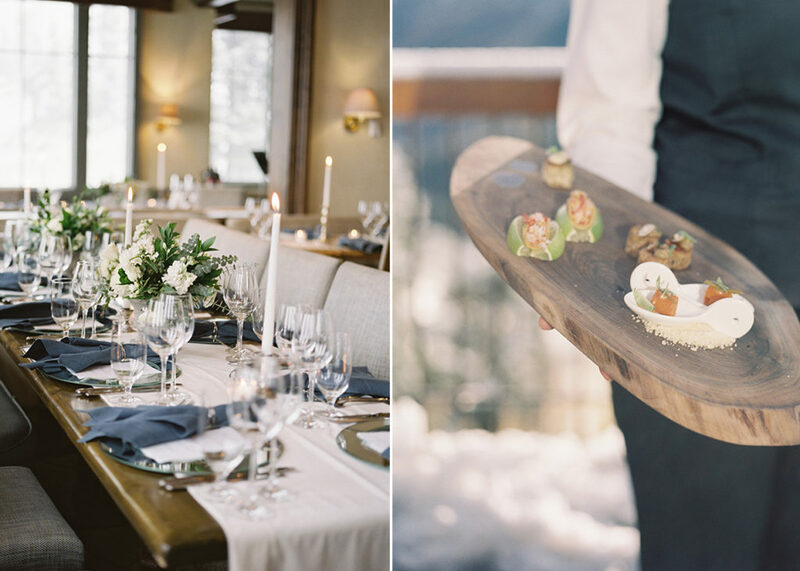 Navy napkins from La Tavola added a slightly preppy feel and were paired with a clean and modern napkin ring. 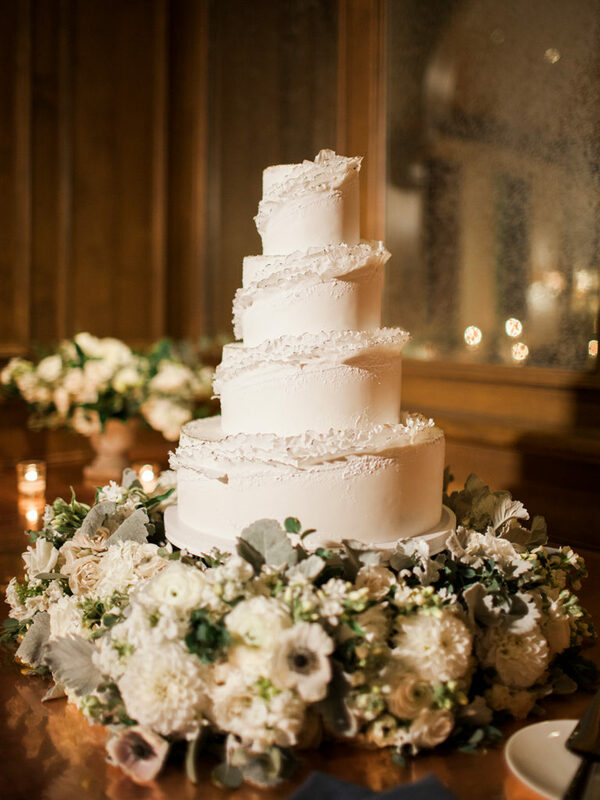 For the cake, Megan Joy Cakes created a four-tiered work of art, featuring frilly layers edged with navy and gold. 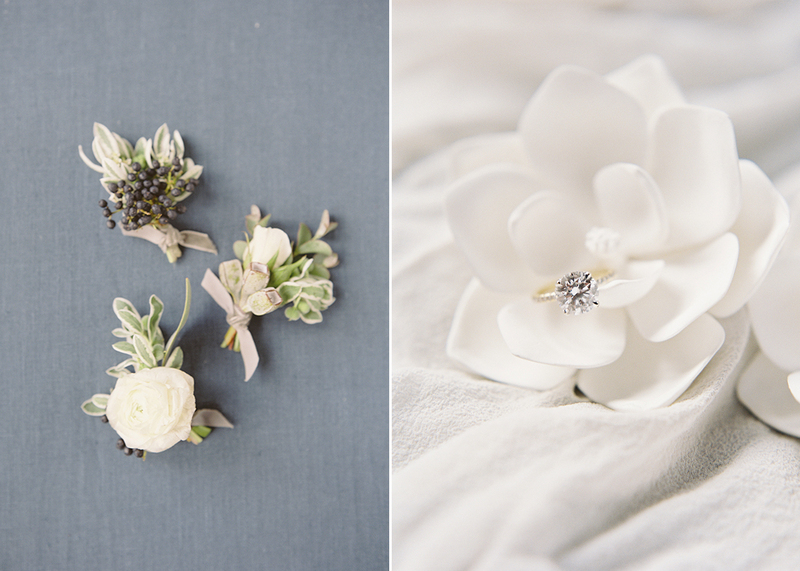 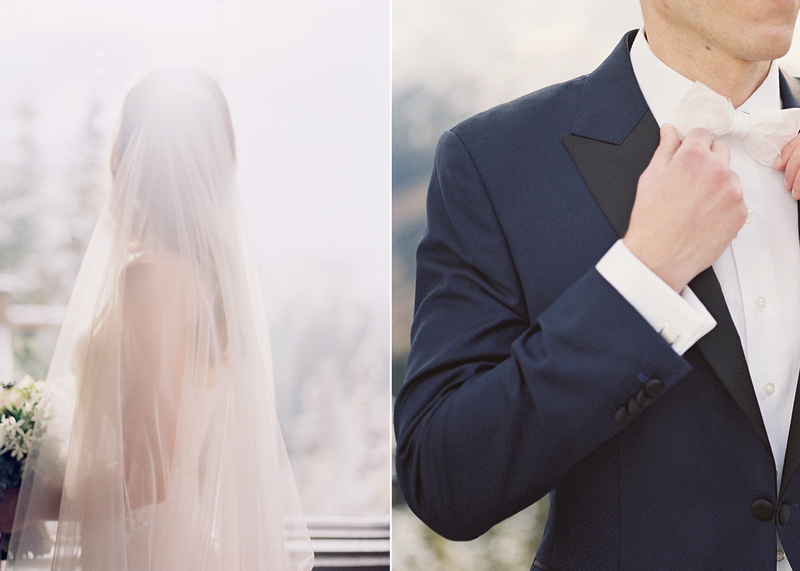 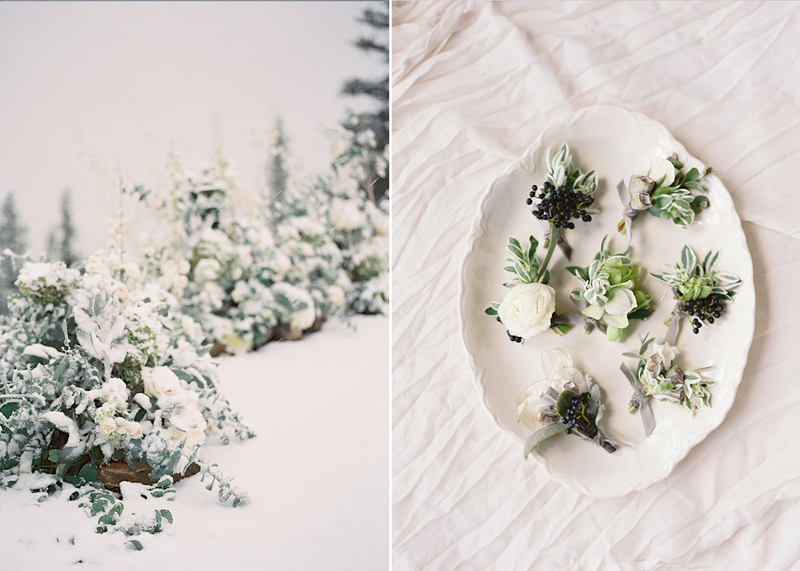 You can see more of this wedding on Martha Stewart Weddings right here.